D.J Reynolds, NYC. 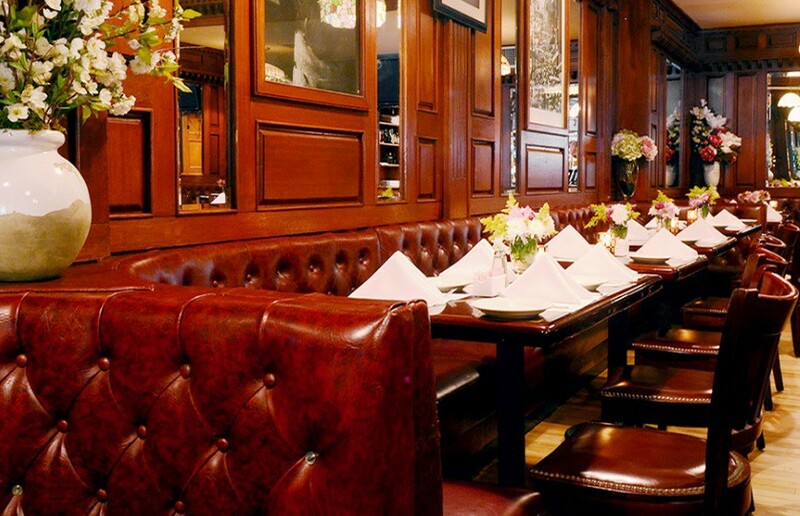 Irish pub and restaurant in NYC with delicious Irish food at reasonable prices. Enjoy 13 beers on tap at our Irish bar in Manhattan. D.J. Reynolds has etched out a patch for itself over the years. It’s located in the heart of New York City, yet has a feel of a warm local atmosphere. In addition to a cozy mahogany bar, which offers a selection of thirteen beers on tap, it has a very cozy dining room. The cuisine varies from mouth-watering burgers and Dublin Style Fish & Chips to sizzling Steaks and Chops, Fresh Seafood dishes and a wide variety of Desserts. All at reasonable prices! After your meal, you may want to try our Famous Irish Coffee. Denis, Mary and their staff look forward to seeing you.